As I continue to heal from criticism, reminders that the process is not one-stop-shopping prevail. Helping in the process and helping me to process this wonderful post from Brave Girls Club arrives in my Inbox. When someone mistreats us, it is so important to not allow ourselves to take it personally, to let it measure our value, to let it soak in as something we ‘deserve’ or to let it derail us when we are on the right track. Sometimes it comes as such a surprise, such an assault and such a distraction. Whether it is a few cruel words said in a moment of heat, or whether it is years long of aggressive behavior, it is difficult to deal with! Often we let it deflate our confidence, we mull over it for days, and we even sometimes allow the mistreatment to make us feel like we must not be valuable enough to be treated with kindness. Please do not allow the lies in, sweet friend. Please do not allow the mistreatment to go any further than the person who was delivering it. Let them keep it, for whatever reason, and do not receive it for yourself. Say kind things to yourself when it is over. Allow yourself to heal for a few minutes or a few days, and then make a promise that you will do what it takes to protect yourself from it happening again, always with love, always with truth, always with bold strength. You are worth protecting. Your heart is worth protecting. Your soul is worth protecting. Part of your newness in this year may be the people, places, and painful toxic relationships you left behind. Now that today begins the double digits of a new month/year/perspective, you may feel the pangs. I wince when the pangs signal their sinister assault. It usually begins with a trigger—-a song-a memory-a photo-even a scent or a smell of the previous. Sometimes I am surprised because my ego told me that “we”—my ego and I—had this grieving thing all worked out. This Time. And sometimes I am left with panic and wanting to escape. Severing relationships are often difficult especially if one person is more emotionally invested than the other. However, in ALMOST all cases those who hurt the most will probably end-up happier because in hindsight when the healing begins and they learn the lessons of being taken for granted, they discover their true worth and hopefully, they will no longer settle for crumbs. Please remember that grieving is not just for loved ones preceeding us to heaven. It is also for people who leave without departing. And for ideas and expectations and dreams that belong to other paths. Because of Grace, God is here. 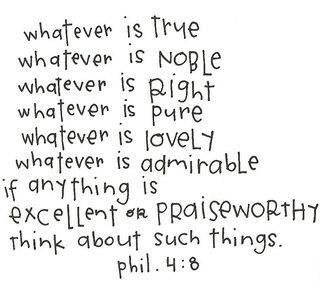 And Because of Grace, we can remedy the pain by remembering Philippians 4:8 (also my focus verse for this new year) and take captive every thought so that it conforms to what is true, noble, etc…and in that, we come out on the other side of the things that are insensitive and toxic. It starts out as a caterpillar; the only “cute” creepy crawly insect I know. Next stop, cocoon, and finally the caterpillar fulfills her destiny as a butterfly. We humans transform too. And one way we track our progress is by the way we work. 3. Butterfly – Take flight, land softly, you are appreciated by those around you. helen’s note: sometimes you are appreciated by those around, but always you appreciate yourself. It’s clear there is an order to pursuing our life’s work. There’s holiness to be found in a job promotion, just as there is humility to be gained in unemployment. Recognizing every stage of the path to professional transformation is… transformational! You will surely become who you are meant to be. Celebrate your inner butterfly yearning to be free.